Sarah Haddad is the executive assistant to PinPoint Commercial’s president, John Thompson, and assists the entire team in accomplishing a variety of tasks. Sarah holds a bachelor’s from the University of Houston, where she majored in English and psychology and minored in French, and earned a Texas Teachers certification for early childhood through sixth-grade. Sarah is also a licensed notary public for the state of Texas. 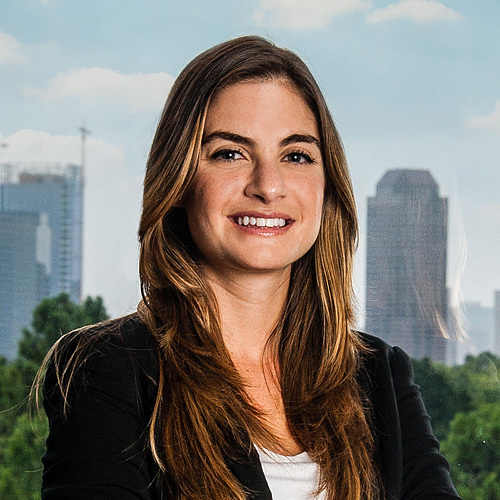 In her spare time, Sarah enjoys volunteering for several Houston organizations, and is the member of many local and national foundations dedicated to the health, well-being, and education of children.